Christine Lutringer is executive director and senior researcher at the Albert Hirschman Centre on Democracy. 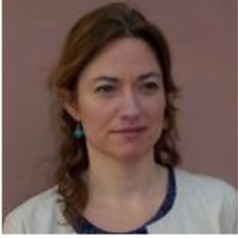 Trained in political science and international history, she studied in Strasbourg (Institut d’études politiques), Rome (Sapienza University and LUISS) and Geneva at the Graduate Institute where she received her Ph.D. in international history and politics in 2009. From 2010 to 2016 she was researcher and lecturer with the Institute for Area and Global Studies at the Ecole Polytechnique Fédérale de Lausanne (EPFL). At the Albert Hirschman Centre on Democracy she is in charge of projects on local democracy, citizenship and civic activism. Her work explores democratic practices in the context of the mobilisation of new social and political actors. In particular it examines social movements and their influence on democratic politics and policy-making at the local level. Drawing on a set of case studies in urban India, Christine Lutringer analyses the strategies used by civil society to “voice” concerns and to create spaces of participation in public debates and public policies. In this perspective, Albert Hirschman’s paradigm, usually used to analyse dyanamics of exit and voice in national public spheres, is applied to understand neighbourhood mobilisation, legal recourse instead of electoral participation. Another thread of her research focuses on contemporary reforms of public policies. In particular Christine Lutringer has been working on the notion of targeting social policies, examining agricultural policies and more recently health policies, with a SNIS-funded project on democratisation of access to health care for women in South Asia.